As a student currently attending a Fairfax County Public high school, I am familiar with many of the issues high school students care about. Yes, we think about test scores, our football team stats, even Ariana Grande’s new song, but we also contemplate problems impacting our schools on a large scale. When public schools all over the country threatened to cut funding for art programs, high school students took the initiative and protested the budget cuts. After the many school shootings that have occurred in recent years, students have been taking to social media and contacting their state Congressional representatives to advocate for improved gun control legislation. Clearly, the old stereotype of high schoolers not caring about their local government and policy is not true. Teens all over the country, especially in Fairfax County, are fighting for issues they are passionate about. Climate change is one such issue. High schools all over the county have signs persuading students to use reusable water bottles, to recycle, and to teach younger students about the environment. Many of these programs and initiatives were started by students, demonstrating that climate change is a major issue that students care about. Another important issue is equity in getting the necessary support for women to succeed. As a young woman interested in STEM (Science, Technology, Engineering and Mathematics), I have heard countless heartbreaking stories from my female peers about their experiences in STEM classes. A junior I know recently told me about one of her post-AP computer science classes, where she was one of five girls in her class. All of the boys were already friends, and they would help each other out in class, but they would not include the girls, so the girls were left behind. As the girls eventually started to lean on each other and feel less alienated, they realized that other young women likely had similar experiences, so they started an organization for girls interested in STEM that acted as a support system. My friend knew she was dealt an injustice that affected many, so she decided to fix it. She is one of many female FCPS students supporting and promoting young women in STEM and their rights. School resources need to be available to help identify and fight for equity among students. It is commendable that she was able to stand up for herself and women everywhere, and having FCPS stand behind her would be even more powerful. FCPS students are leaders and fighters, protesters and marchers, movers and shakers. We know what we are passionate about, and we are not afraid to fight tooth and nail for it. We advocate for environmental awareness, women’s rights, LGBTQ+ rights, gun reform, and so much more. Whether we are establishing an organization, planning an event, or participating in a march downtown, we are willing to take the first step toward creating a better future for all. 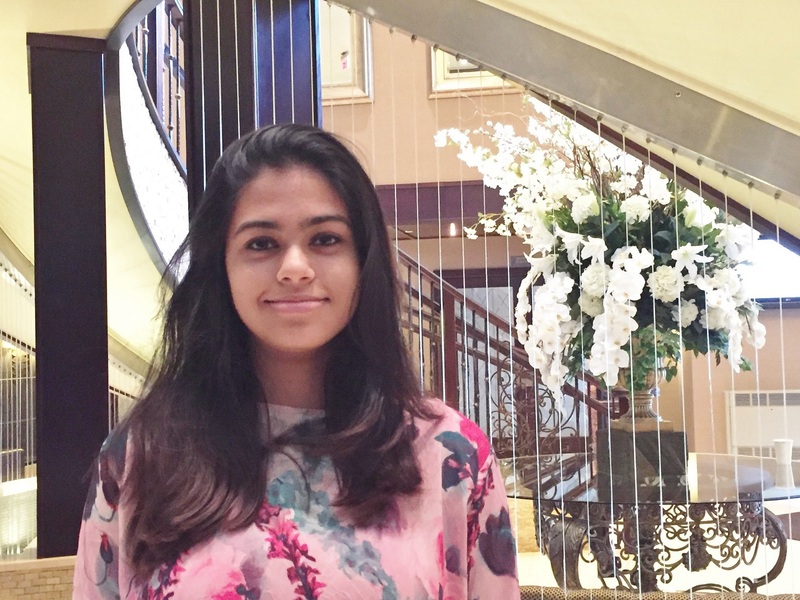 Trisha Rahman is a sophomore at a Fairfax County public high school. She is interested in environmental science and climate change.